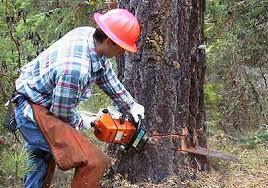 First, it is illegal to cut protected trees without a permit from the City and homeowners who allow this to happen face a fine. Second, if your contractor or hired help places debris at curbside, the City will not pick it up and the homeowner will have to arrange for their own pickup. For more information, please call Paul Blust at 843-280-5563 or come to City Hall and the Planning Department and request that someone come out to review your tree-cutting plans. -- Hurricane debris pickup continues at a good pace. Public works is operating 3 knuckle-boom loaders and thus far has taken 9 loads of debris to the City transfer station and 17 tons of debris to the landfill. Crews will keep on working until the debris is gone. -- Homeowners and others be aware-- if you hire tree companies or others to help you with your debris, they must have a City business license, they must remove the debris from your property and they must dispose of it properly. The city only picks up debris from curbside that property owners have generated. -- Under "normal" post-hurricane conditions, the majority of people who evacuate tend to return en masse to the city, making debris collection a one or two-time exercise. This time around, however, people will be returning in "waves" over an extended period of time, and when they get home they will be moving their hurricane debris to the edge of the road for the City to pick up. They may also be throwing out the spoiled contents of their freezers and refrigerators from when the power was out. The City is aware of this and will be servicing both sides of the equation until all are back and the work is complete. -- As you are returning to Horry County and North Myrtle Beach, be aware that as this week progresses, river flooding in various parts of Horry County will continue to build. This may slow or in some case halt progress to the North Myrtle Beach (which is not flooded). -- City Council and City management continue to work on the logistics for Hurricane Florence recovery. The goal is to work the recovery side hard, and to also work to continue to provide normal activities for those who are back, including normal operation of recreational facilities. There are times when this may be a double-edged sword with respect to person-power but good scheduling and willing employees have made the difference so far. -- Once the Governor issues a mandatory evacuation, lane reversals automatically occur for two sections of Highway 501— U.S. Highway 501 from SC 544 to SC 378, and U.S. Highway 501 from SC 22 to the U.S. Highway 501/SC 576 split in Marion. Once you enter a Lane reversal pattern, you will not be able to get back out. Never enter a lane reversal pattern unless directed to do so by law enforcement. -- The Horry County evacuation plan to which all in North Myrtle Beach are subject requires all people located north of Briarcliffe Acres to evacuate via SC 9 North to I-95 and beyond. -- These requirements stem from the South Carolina Hurricane Evacuation Study for the Northern Conglomerate released by the Federal Emergency Management Agency (FEMA) and the U.S. Army Corps of Engineers in 2012. When reentering the city of North Myrtle Beach after a hurricane evacuation, property owners, renters and business owners should be prepared to show either their driver’s license, a copy of a recent water bill or property tax bill, a rental agreement, or other form of identity that proves residency or property ownership within the city. Owners of businesses with employees who do not reside within the city limits but who are essential to business recovery should provide those employees with a letter written on company letterhead identifying them as being essential to the recovery of the business. When identifying an employee, please use their name as shown on their driver’s license so that authorities can match the two for verification. The City of North Myrtle Beach does not require filing residency or business information prior to a storm. The City’s goal is for the return of property owners and others to North Myrtle Beach as soon as possible following a hurricane evacuation so that all can help in the recovery process. However, some areas of the city may not be safe or essential utilities damaged, resulting in delayed reentry to the affected locations. Be aware that other jurisdictions that you may travel through on your return to North Myrtle Beach from a hurricane evacuation (State, County, or other municipality) may have different identification requirements or different reentry priorities depending on damage that may have occurred in their jurisdictions. 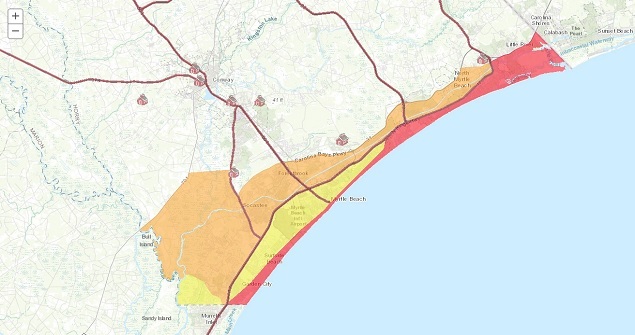 You may remember that different areas of Horry County, including North Myrtle Beach, have been assigned different “Zones” with respect to the potential impact of hurricane storm surge on a given land area. All areas east of U.S. 17 Business (Kings Highway), up to intersection with U.S. 17 (Kings Highway) and then all areas east of U.S. 17 (Kings Highway) to the northern county line. All areas south of S.C. 707 and Longwood Drive, including all areas in Longwood Plantation (Blackmoor) to the Waccamaw River and all areas east of U.S. 17 Bypass (Mark Garner Highway) to U.S. 17 (North Kings Highway) and all areas east of U.S. 17 (North Kings Highway) to the northern county line. All areas between U.S. 701 and S.C. 544, south of Brown's Chapel Avenue and Hwy. 814, plus all areas east of S.C. 31 (Carolina Bays Parkway) to S.C. 90 and all areas east of S.C. 90 to U.S. 17 to the northern county line. The Horry County Emergency Management Department provides an interactive Zone Map. Access County information at www.horrycounty.org. -- Contractors who enter the City of North Myrtle Beach to perform works following a hurricane are required to have a current South Carolina contractor's license, a North Myrtle Beach business license, and a building permit tied to a specific job. Come to the North Myrtle Beach City Hall at 1018 Second Avenue South and ask for the Building Division. -- For your own safety and well-being, property owners and business owners should not do business with contractors who cannot show you a current South Carolina contractor's license and a current City of North Myrtle Beach business license. A building permit is also required for most jobs. 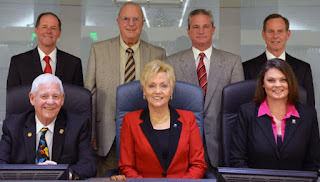 HOW WILL THE CITY OF NORTH MYRTLE BEACH STAY IN TOUCH WITH YOU? -- Via our Email News Group, whose members receive all news releases at the same time we send them to the news media. This is a free service. To be included in the Email News Group, provide your email address to Pat Dowling at pcdowling@nmb.us Please specify if you want to receive all City-related news or only hurricane-related information. We will not use your email address for any other purpose. You can opt out at any time. 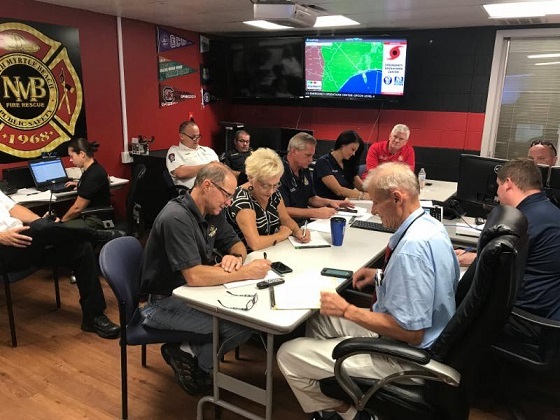 The City also forwards its information to local and regional news media outlets, Horry County Emergency Management, the North Myrtle Beach Chamber of Commerce, and the Myrtle Beach Area Chamber of Commerce. 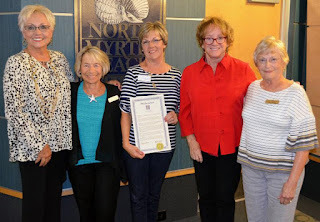 The North Myrtle Beach Chamber of Commerce shares City of North Myrtle Beach announcements with its members and its social media audiences. The Myrtle Beach Area Chamber of Commerce serves as the umbrella agency for the Area Recovery Council (ARC), which serves as a clearinghouse for information from all sources within Horry County during hurricanes and other disasters. Keep North Myrtle Beach Beautiful will again sponsor the annual North Myrtle Beach Beach Sweep/Creek Sweep on Saturday, September 15, 9:00 a.m.-12:00 p.m. Volunteers can check in starting at 8:30 a.m. at the 53rd Avenue North Boat Ramp in Cherry Grove. Lunch for volunteers starts at 11:00 a.m. at the boat ramp. Individuals or groups who want to participate in this year's clean up may contact Gregg Barnhill at 843-280-5673 or dgbarnhill@nmb.us. Volunteers will be cleaning the ocean front areas of North Myrtle Beach and some areas of the marsh in Cherry Grove. North Myrtle Beach Beach Sweep/Creek Sweep is part of S.C. Beach Sweep/River Sweep, South Carolina’s largest one-day volunteer cleanup. Each year thousands of South Carolinians clear beaches, rivers, lakes, marshes, and swamps of debris. The cleanup, organized by the S.C. Sea Grant Consortium and the S.C. Department of Natural Resources, has taken place annually since 1988. It takes place in conjunction with the International Coastal Cleanup, coordinated by the Ocean Conservancy. Once the Sweep is over, the Ocean Conservancy tallies all of the debris data. This data helps to identify sources of litter, which helps efforts to prevent litter before it starts. 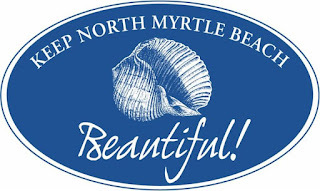 Keep North Myrtle Beach Beautiful is a volunteer committee focused on educating and empowering the North Myrtle Beach community to personally improve the environment and enhance quality of life and community pride through beautification, litter prevention and recycling. Keep North Myrtle Beach Beautiful, Sea Grant Consortium, Palmetto Pride, Driftwood Garden Club, Optimist Club, Yaupon Garden Club, North Myrtle Beach Pilot Club, Sea Oates Garden Club, North Strand Sail and Power Squadron, Sea Coast Anglers, North Myrtle Beach Public Safety Department, North Myrtle Beach Public Works Department, North Myrtle Beach Parks & Recreation Department, Clemson Extension Service, American Legion Post 186, OD Shag Club, North Myrtle Beach High School National Honor Society, North Myrtle Beach Volunteer Rescue Squad, All North Myrtle Beach Schools, South Carolina Department of Health & Environmental Control, and many individual volunteers from the area. 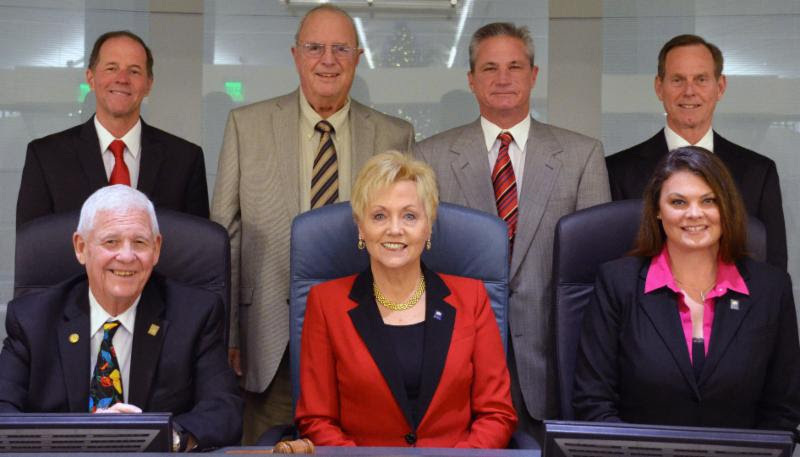 The North Myrtle Beach City Council will meet on Monday, August 20, 7:00 p.m. at City Hall. To access the meeting agenda, please follow this link:https://tinyurl.com/y88ekmq9or visit www.nmb.us and look under "Agendas" or "Press Releases" on the home page. 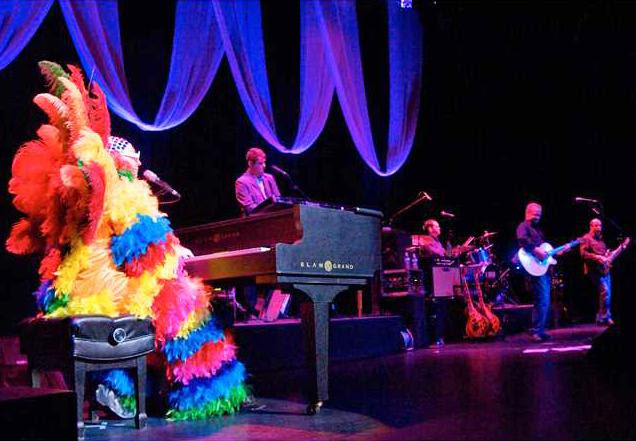 Enjoy Rocketman, a tribute to Elton John, in a FREE August 17, 7:30 p.m.-9:00 p.m. concert at Sandhills Bank Amphitheater in the North Myrtle Beach Park & Sports Complex. The band Flirt will open the show from 7:00 p.m.-7:30 p.m. The free concert is part of the Sounds of Summer concert series presented by the North Myrtle Beach Parks & Recreation Department, Avista Resort, and RV Outlet USA. Rocketman takes great pains to ensure that you will feel like you are attending a real Elton John concert. Their costumes are exact replicas of those worn by Elton John, and state of the art lighting is employed. Rocketman is ultimately about the songs. Anyone who loves Elton John and his music will love this show! For day of event weather information call the “Rec Check” hotline: (843) 280-5594 Ext. 3.